In an attempt to keep myself honest and motivated, I've started posting at the end of each week a snippet -- usually a paragraph, maybe longer, maybe just one long convoluted sentence (I'm fond of those) -- from the writing I accomplish each week. Also, I'm currently writing long-handed on yellow legal pads, so seeing the words typed up onto the white screen is sort of an interesting process, too. The new beard would prove to be the missing element needed to complete his [my dad's] image of arch raconteur. It divided his round face, camouflaged his full cheeks, and gave a more pointed finish to a somewhat weak chin. He'd also ceased wearing his graying curly hair in the cropped, tight afro popular in the mid-seventies, and now brushed it straight, where it fell slightly below his ears. 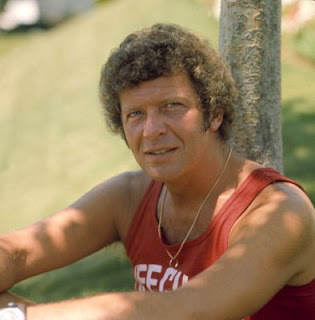 In what seemed a matter of months, he'd transformed from resembling the post-Brady Bunch Robert Reed, to the gruff romantic charm of Kenny Rogers. It seemed that everyone who met my father, from this point throughout the next half-decade, would at some point make the comparison to Kenny Rogers. After. 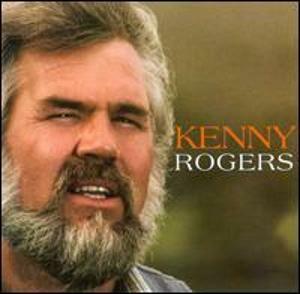 Dad's beard in the early '80s was nearly identical to Kenny's.